Middle Schoolers sporting their House shirts! Our House shirts finally came in and they look great! 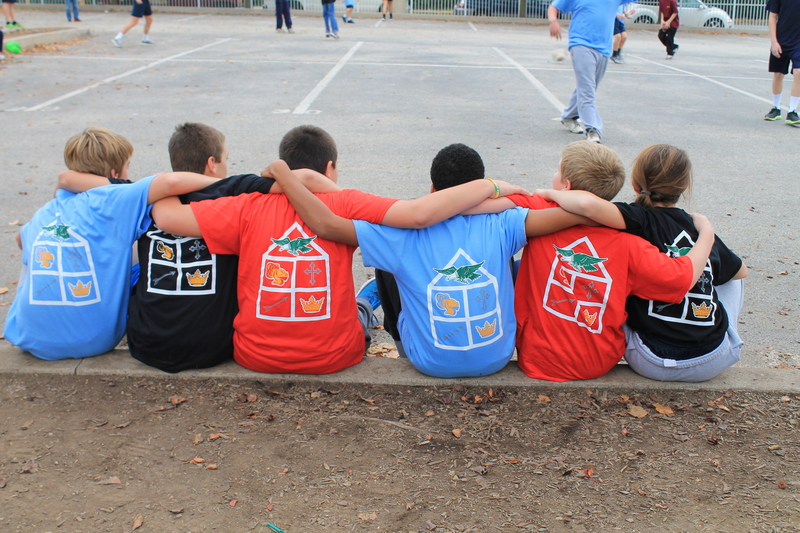 The back of the shirt sports an outline of a house and each House is represented by a symbol of their saint. The front of the shirt has the specific name of each House. Our 5th thru 8th graders wore their shirts for the first time and they all look great! House names are: Drexel, Neumann, Seton, Kolbe and Cabrini. Go Warriors! Getting ready to walk in procession. Looking good for the procession! 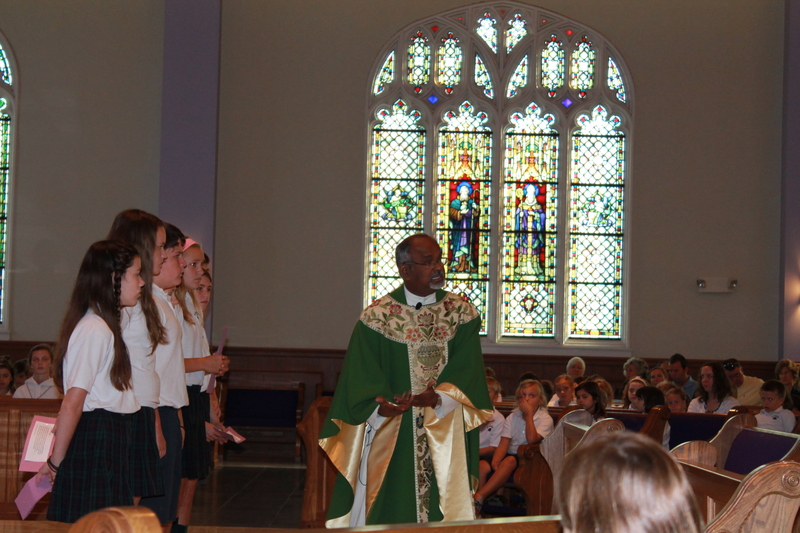 Two St. Patrick students were inducted into the Bishop Shanahan Jr. Honor Society on Monday, October 22. 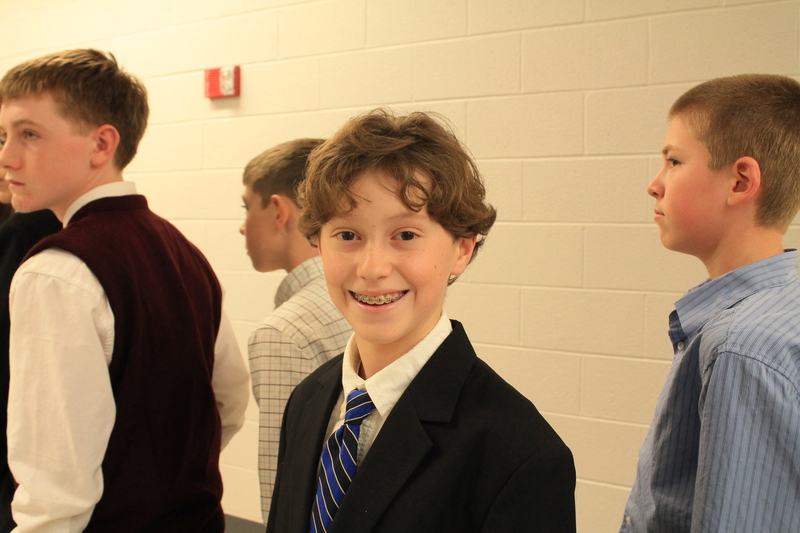 The students were chosen by their teachers based upon academic performance, service, character and leadership qualities. Daniel’s parents are very proud! Gillian’s parents beam with pride! 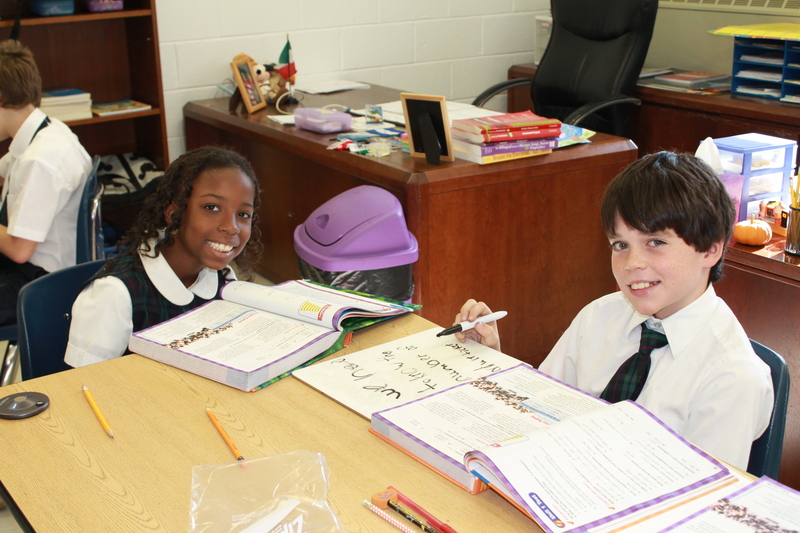 Daniel and Gillian are great ambassadors for St. Patrick School and perfect choices for this prestigious honor. Congratulations! Go Warriors! Math and smiles go together. Working in pairs is fun in math class. 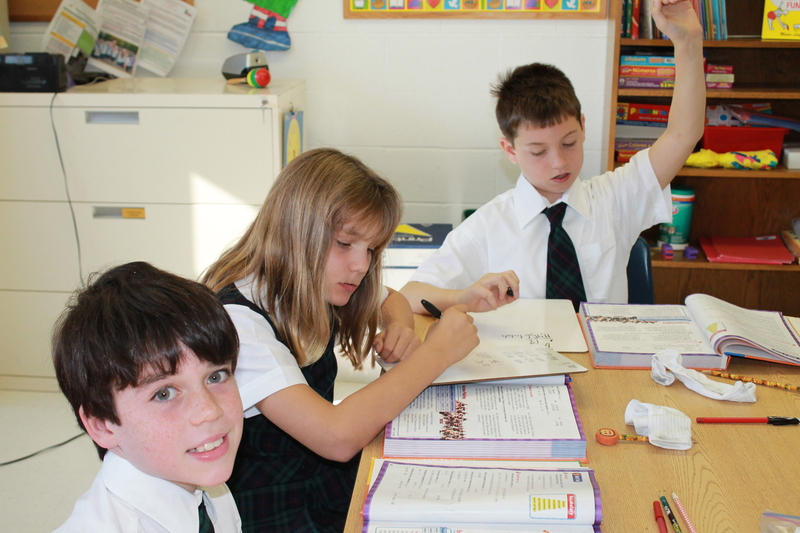 4th grade math honors class is fun and exciting, especially since our 4th graders are sharing the class with the honors math class from Assumption BVM School in West Grove, PA! Our students dial in over an internet connection and participate in the class virtually – they watch the instructor on a flat screen TV, are able to answer questions, go to the board, and participate in the class discussions. 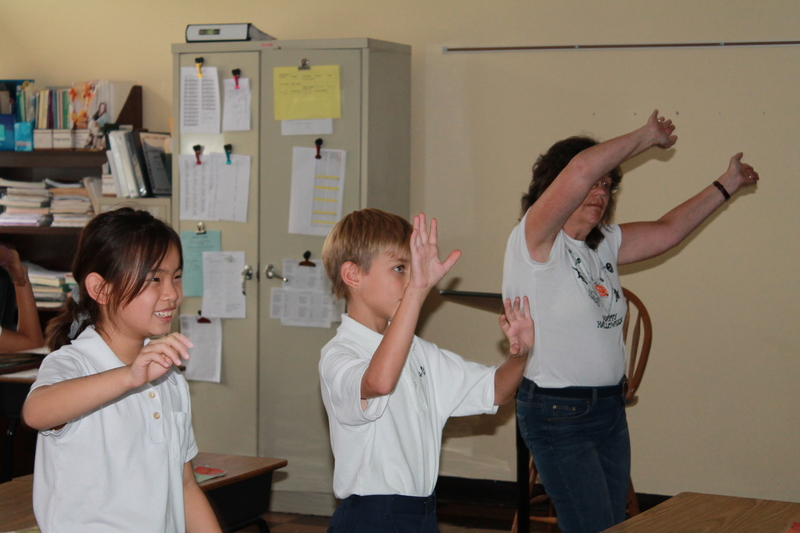 Math in a virtual way – or any way – is FUN! Go Warriors! 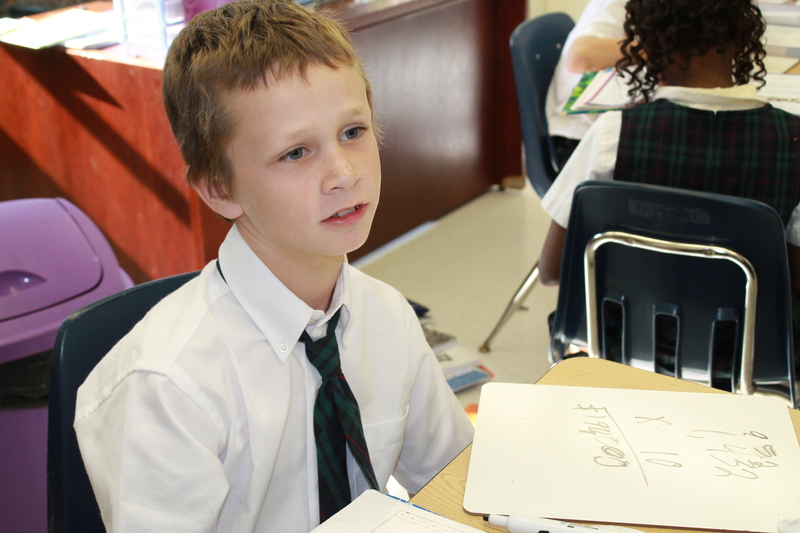 Smiles mean we love math! If you can’t get to the pumpkin patch, bring the pumpkin patch to you! PreK teachers, moms and dads set up their own pumpkin patch in Burke Park, right across from our school. Our PreK students were so excited to find the pumpkins buried beneath the mounds of hay. 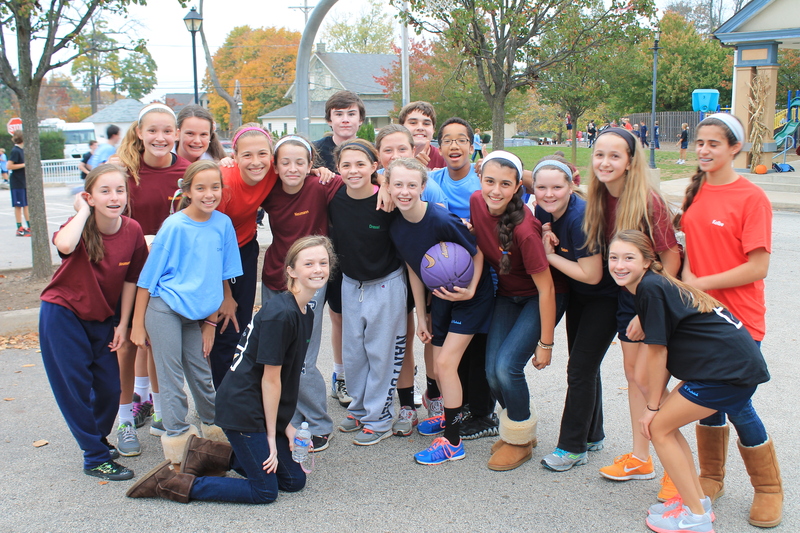 It was a perfect fall day to be outside, enjoy each other, and go home with a pumpkin! Go PreK Warriors! Mrs. Kinka’s class shows off their pumpkins. Ms. Ingersoll’s class cleans out a pumpkin! 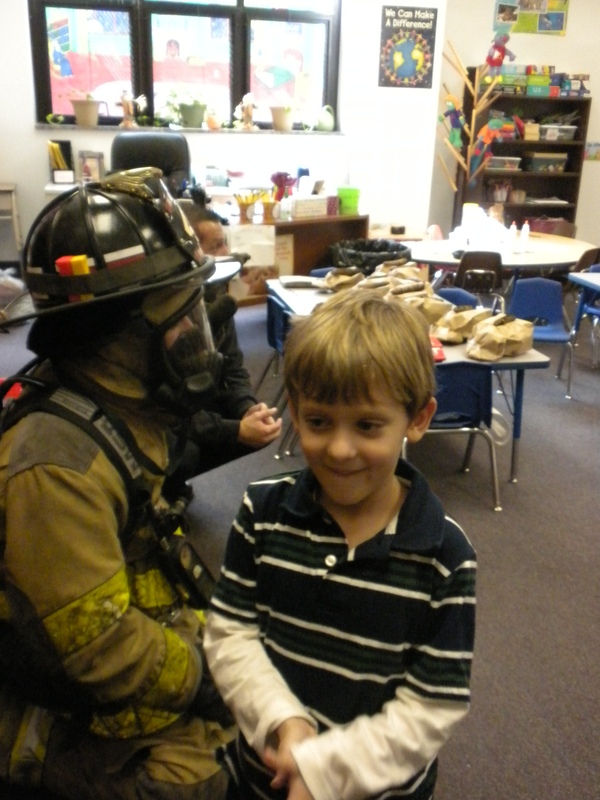 PreK had took an exciting walk yesterday down to the Malvern Fire Company. 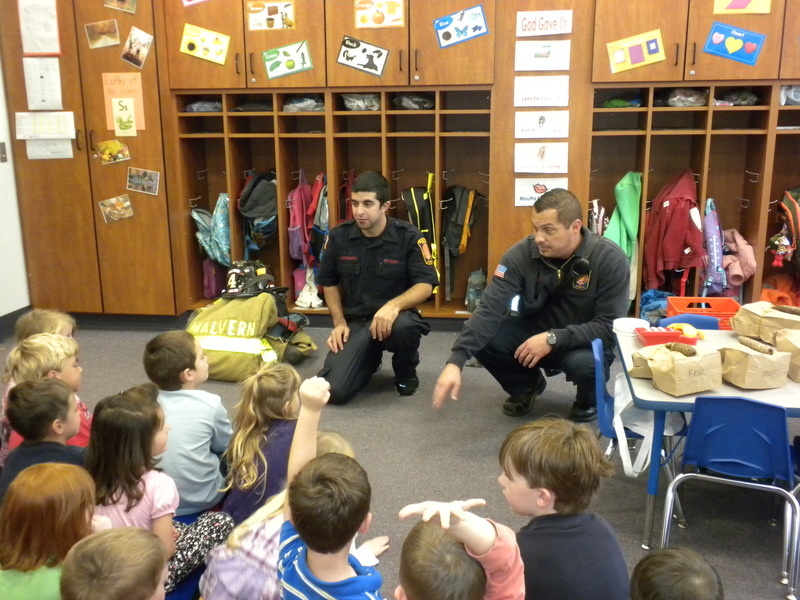 When I asked them what they learned, Abby told me that “the siren was not that loud”, George told me ” call 911 if I need help”, and Dylan said “it is important to know your phone number.” Seems to me that PreK learned a lot of important information on their trip! 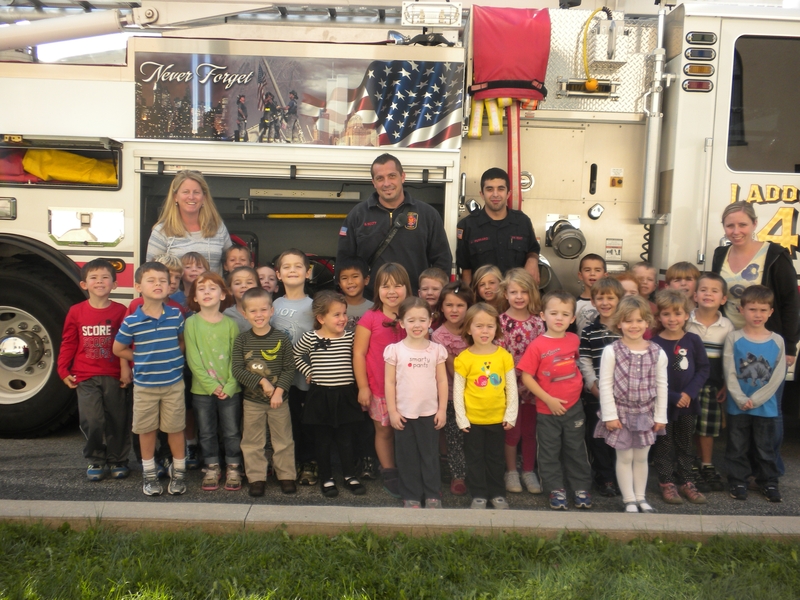 Thank you to Malvern Fire Company for welcoming us into their fire station! 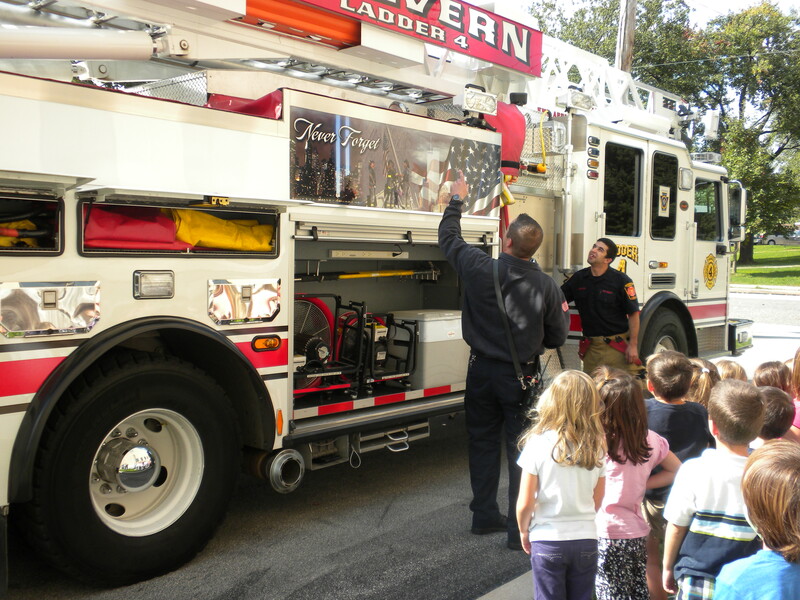 PreK loved seeing the truck up close and personal! Spanish Class Boogies On Down! I never know what I will see or hear when I walk into Mrs. Valenti’s Spanish class. Sometimes I hear colors or numbers in Spanish, sometimes I hear about a Latin American country – their food and customs, and sometimes I hear and see music and dancing. 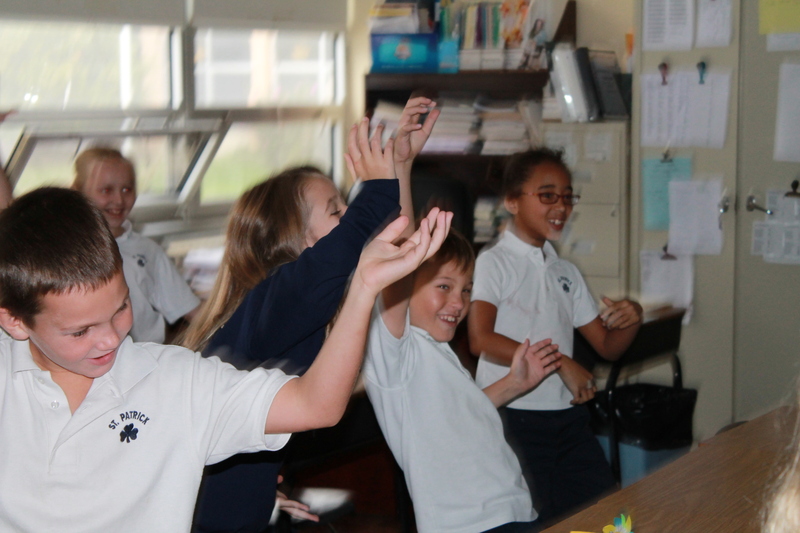 Last week was one of those times – 3rd grade was rocking to Una Pango Mano, One fun Dance. As you can see from the smiles in the pictures, they were having a great time! 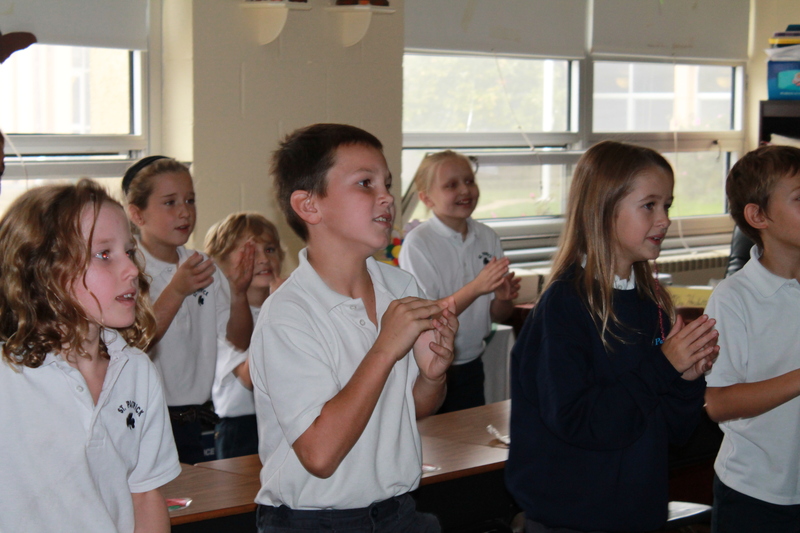 SPS loves Spanish! 3rd grade showing their moves! Student Council and Fr. Arul during the homily. 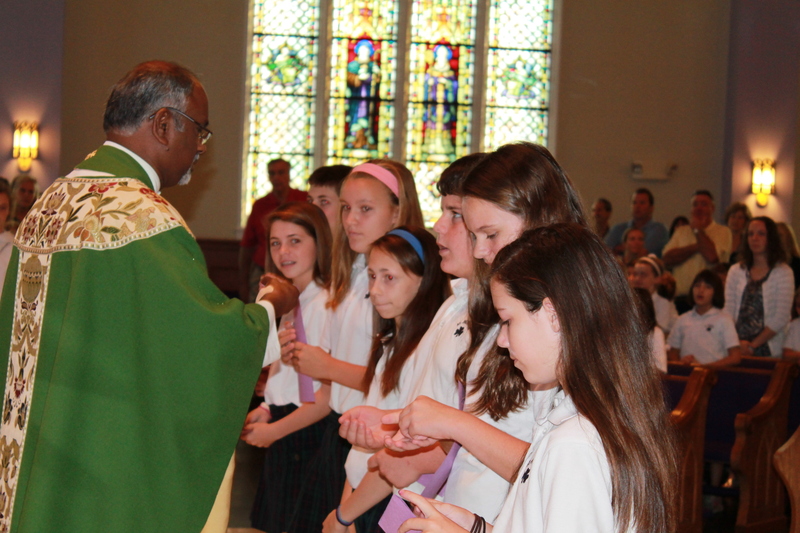 Friday, October 5, marked the installation of our Student Council officers. Fr. Arul reminded our officers that they were chosen by the students and that they are called to serve and lead by example. 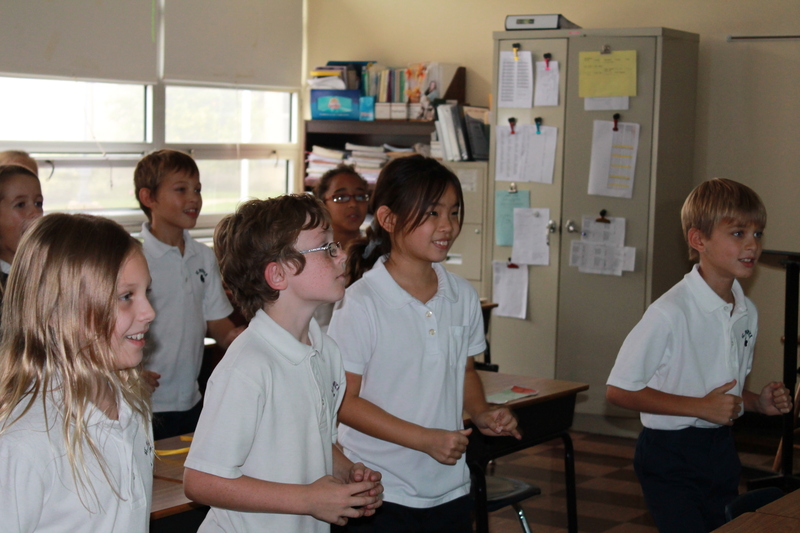 We the members of St. Patrick School Student Council promise to remember at all times who and what we represent. We promise to fulfill our duties and responsibilities. We promise you, faculty and fellow students to respect the importance of being a Student Council member. Trusting in God and the gift of his grace we pledge to be students of prayer, service, and school spirit. Congratulations, Student Council officers 2012-2013! Go Warriors!